The all-new 2019 Land Rover Range Rover offers an upscale take on the SUV. Spacious and powerful, yet full of luxuries you might miss on lesser models, the Range Rover is ready to tick every box for shoppers in Mason. Learn more about the features that bring the interior of the newest Land Rover its form and function at Land Rover Cincinnati. Convenience Fold with Remote Intelligent Seat Fold: Available with Rear Executive Class Seats, this features allows you to configure the rear seats with a smartphone app or through the in-vehicle touchscreen to keep the kids entertained. 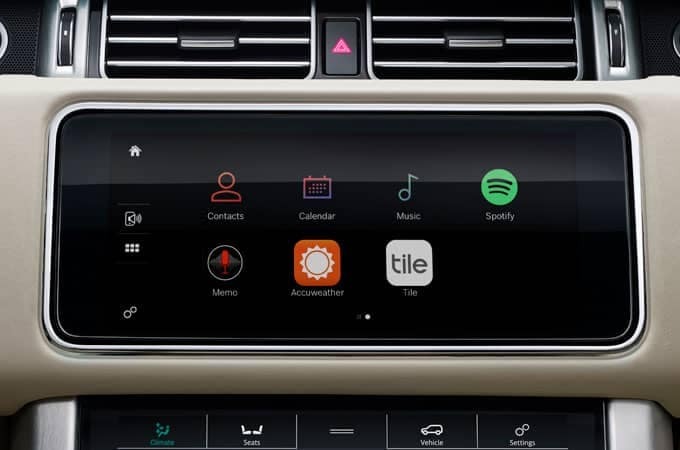 Touch Pro Duo: An infotainment system that features two 10-inch touchscreens, this system allows for easy navigation and maximum connectivity. 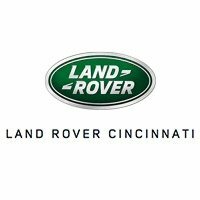 Take the new Range Rover for a test drive, or compare it to the Cadillac Escalade or Lexus LX, today at Land Rover Cincinnati near Mason. Drivers may also be interested in comparing the Range Rover Sport to the Range Rover Velar, the “Avant-Garde” SUV from Land Rover. We have a variety of Land Rover specials available and a dedicated finance team that will navigate you through your purchase or lease options. 0 comment(s) so far on What is the 2019 Land Rover Range Rover Interior Like?